For centuries, people in Yala have farmed small clearings in the jungle called ‘chena’. 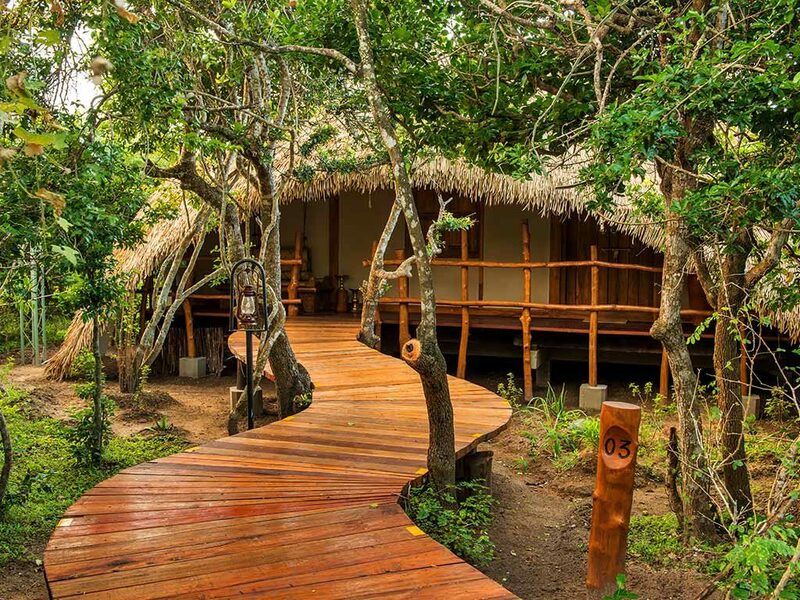 Today, set amongst dunes and trees at the ocean’s edge, you will find Chena Huts, Yala hotel in true Uga Escapes’ style. Chena Huts is fringed on one landward side by the tropical jungle and on the other by a saline lake where ibises, painted storks and even flamingos may be seen, wading in the shallows. At this small, select property, the ‘huts’ are in fact luxurious detached, private cabins, offering fine views of the surrounding wilderness and seascape. To intensify the wilderness experience, this spacious 7acre property accommodates only fourteen 1130sq ft guest cabins. This includes a 781 sq ft climate controlled living space. 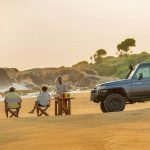 Exteriors, featuring design cues from the vernacular architecture of the region, are designed to harmonize with the jungle environment; interiors gently emphasize the ‘safari’ theme, with log furniture, African-style and rustic motifs that belie the ultra-modern comfort and convenience within. Chena Huts by Uga Escapes truly stands out for the ambiance provided for the guests amongst the Yala hotels in Sri Lanka. Each of these well-appointed cabins contains of a living area, bedroom, en suite bathroom and shaded outdoor deck with built-in 5m plunge pool. All are equipped with variable-intensity central lighting systems, 42” LED TV, mini-bar and facilities for making tea and coffee. The luxurious bathrooms feature free-standing bathtubs and twin vanity consoles. Set amidst a secluded sanctuary, Chena Huts offers the perfect escape in which to enjoy some personal pampering. 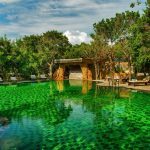 Being one of the most luxurious spa resorts in Sri Lanka, you can get away from it all and indulge in a truly unique wellness retreat. Setting the ideal atmosphere in which to experience the ancient healing powers of Ayurvedha or rejuvenating beauty treatments that are more than skin deep. 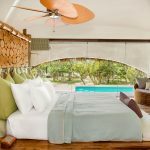 Common amenities at Yala resorts include a 200m2 swimming pool with poolside bar (concealed behind a waterfall) and electric buggies for guest transport on the premises.